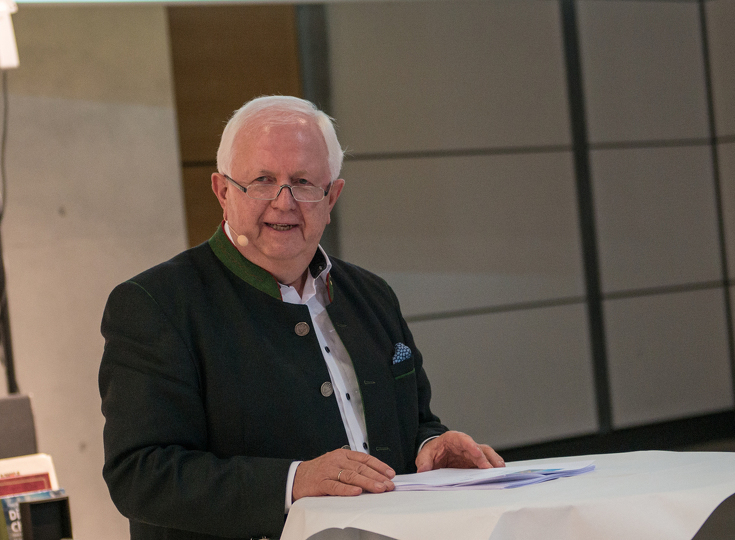 On 23rd November, Fendt celebrated its employees who have been with the company for 10, 25, 40 and 50 years. 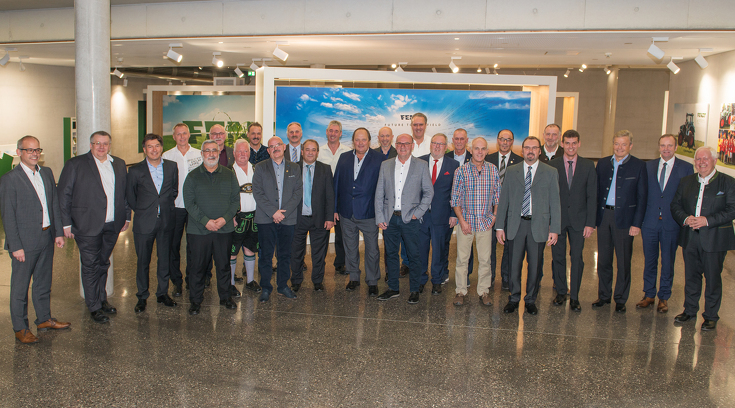 Together with their partners, 195 Fendtlers were invited to a formal evening at the Fendt Forum at Marktoberdorf, where the Managing Directors thanked them for their many years of service. "The much-cited Fendt spirit lives on through our company's employees," says Peter-Josef Paffen, Chairman of the AGCO/Fendt Management Board. "The commitment and team-spirit of each and every member of staff shape a company, and create an atmosphere people love to work in. That's why it's important that we give special thanks to our long-term employees for their many years of service, but also their partners, who play no small part in our Fendtlers turning up to work motivated and healthy. In some cases, for half a century!”, quips Peter-Josef Paffen. Ludwig Maier, Technical Specialist in Testing, and Konrad Guggemos, Assembly Engineer in Testing, started working for Fendt 50 years ago and have seen a lot in their time. 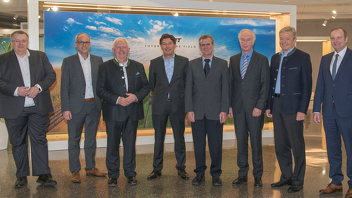 (from left) Michael Schnitzer (Chairman of the Works Council), Christian Erkens (Director Sales Fendt EME), Peter-Josef Paffen, Michael Gschwender (CFOs) with the men celebrating 50 years of service – Ludwig Maier and Konrad Guggemos – as well as Dr. Heribert Reiter (Director of Research and Development) and Andreas Loewel (Head of Fendt Sales Germany). 24 employees are celebrating 40 years at Fendt. 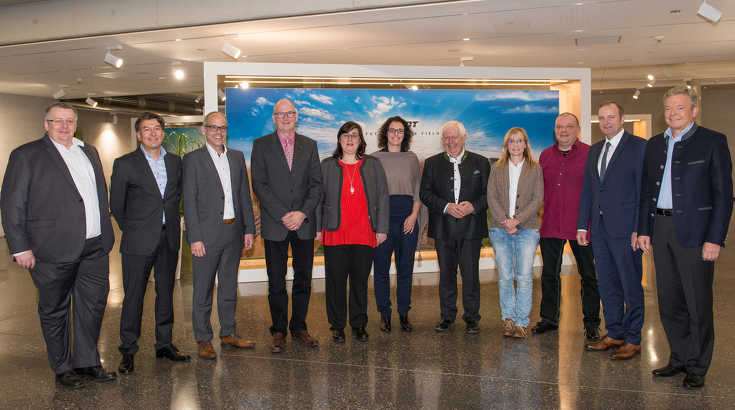 6 employees are celebrating 25 years' service at the company. After a jubilant speech by the Fendt boss, all those celebrating their special milestones at the Anniversary Evening were handed a gift and had their photo taken. This was followed by a multi-course dinner and live music, which brought a number of couples to the dancefloor. It just goes to show that not only can Fendtlers work, but they know how to party, too. 163 employees started their Fendt career 10 years ago. Copyright AGCO GmbH. All rights reserved. Unless otherwise indicated, all reproduced on this website brands, nameplates, corporate logos and emblems are trademarked for AGCO. Text, images, graphics, sound, animations and videos and their arrangement on this website are copyrighted. It is therefore not permitted to download the website in whole or individual parts thereof to reproduce or distribute. Allows the technical reproduction for the purpose of browsing and individual replication for private use. Any other use of the contents of this website or the trademark of AGCO protected Marks without the prior written consent of AGCO.